On the rocky beach at Little Girls Point County Park in Michigan's Upper Peninsula, the heavy wash of Lake Superior seeking the shore rolls stones the size of softballs back and forth in the surf. Peter Annin knows better. The author of The Great Lakes Water Wars, which examines the fight to protect the lakes from an encroaching and increasingly water-starved world, has stood in the dry ocean bed of Central Asia's Aral Sea and reflected upon the fragility of such seemingly infinite resources. The Aral was once the fourth largest inland body of water in the world. But the Soviet diversion of Aral water in the 1950s to grow crops dried up 90 percent of the lake in the span of a generation. "Standing in the middle of the seafloor in a place where the water was once forty-five feet deep, the magnitude of the disaster can be difficult to grasp — nothing but sand stretches off to the horizon in all directions," Annin wrote in his book. "Photos cannot capture the true extent of this ecological calamity; it even challenges the bounds of the written word." The soon-to-be-celebrated 10th anniversary of the Compact's creation comes at a time when the durability and effectiveness of the agreement are under close scrutiny. With a major proposed diversion being challenged in court and scientists warning of climate-driven drought in coming decades, the 10-year-milestone offers a timely opportunity to consider whether the Compact is working as intended and whether it is likely to withstand the political challenges that will come with fending off a thirsty world. 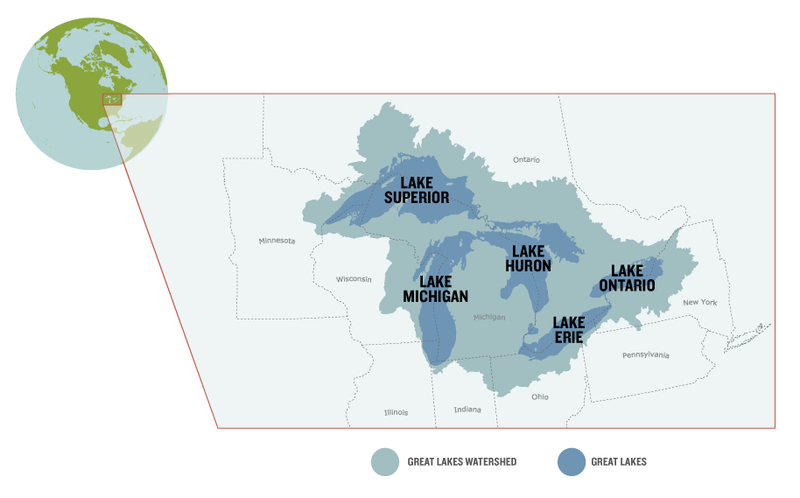 The Great Lakes watershed reaches into eight states: Minnesota, Wisconsin, Michigan, Illinois, Indiana, Ohio, Pennsylvania and New York. The Wisconsin DNR says the factory's withdrawal satisfies the terms of the Compact — including returning a specified amount of water to the lake. But environmentalists and others disagree. Midwest Environmental Advocates has filed a legal challenge of the agency's decision to approve the withdrawal. The group argues that the diversion ignores a key requirement in the Compact — that all water withdrawn from the Great Lakes Basin must be used for public water supply purposes. Indeed, a private company's failed 1998 plan to ship Great Lakes water to Asia was a shocking reminder that others in the world had their eyes on the lakes as a solution to their water problems. But such schemes, including ones to pipe water to dry western states such as New Mexico and Arizona, seem to have been short-circuited by the Compact, according to Annin. "The Great Lakes Compact has successfully taken the pressure off the Great Lakes Basin," said Annin. "It's almost nonexistent right now because of the compact. If anyone was considering it, they have turned away to look for other avenues." "You wouldn't even be grappling with these questions or asking them if you didn't have the Compact," said Ambs. "These are big issues, big questions and the Compact lays out a framework for dealing with them." Ambs said the Compact "is regarded as one of the most significant public water policy achievements in the world." 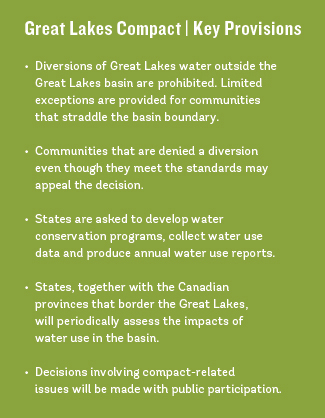 The Great Lakes Compact establishes several regulatory requirements for its signatory states and provinces. Karen Hobbs, senior policy analyst on water issues for the Natural Resources Defense Council, said the Compact has provided what has been a largely successful means to manage Great Lakes water. It provided a way for Great Lakes states and Canadian provinces to work together that didn't exist before. "I think it's a seminal milestone in terms of managing the water in the Great Lakes Basin," said Hobbs. And some say that the approval of Foxconn reveals weaknesses in the Compact's language. While most new diversions are banned under the Compact, the Foxconn withdrawal was approved under the provision that allows straddling communities to apply for a diversion. In such cases, the governor of the state has the final say, bypassing approval by all the Compact states. John Dickert, president and CEO of the Great Lakes and St. Lawrence Cities Initiative, said it sets a dangerous precedent. "If we allow cracks in the armor," he said, "then the armor is no good." "Things change," said Jarvis. "So what we need to do is go back every few years and reassess where we are." "While some of these reforms can happen at the state level," Hall wrote, "or through operational changes in compact administration, more fundamental changes will require revision of existing compacts." Such changes will not come easy, he added, and “will require leadership and political will." Data from the U.S. Environmental Projection Agency. Growing threats to the availability of water are already causing consternation in Canada, where droughts have alarmed water experts, according to John Pomeroy, director of the Global Water Futures Program at Canada's University of Saskatchewan. In a February 2018 article for The Conversation, Pomeroy wrote that the program's extensive research reveals a bleak water future for large parts of the country, with climate change reducing snow packs and increasing the likelihood of drought. "My research has shown quite clearly that when you look at the U.S., the upper half is getting wetter while the lower half is getting drier," said Famiglietti. "Embedded in the drying lower half are our two major food-producing regions, the Central Valley and the High Plains aquifer. The southern halves of both of these are running out of water. So it begs the question about the future. Will we move water to where food systems and food production are optimized, or will we move food production to where the water is?" 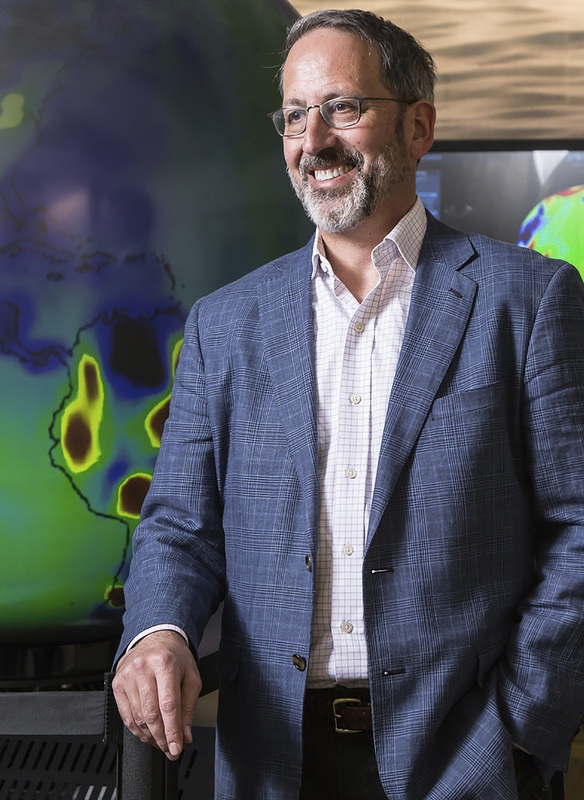 Global Institute for Water Security director Jay Famiglietti suggests that changes in the distribution of water across North America will increase interest in the Great Lakes as a source of water for other regions. "I believe that it's just a matter of time before — assuming we want to continue producing food at current or increased levels in the Central Valley or the High Plains — we will have to bring in water. Obviously, because there won’t be any groundwater left." Annin reported in an epilogue to the second edition of his book that others see Famiglietti's prediction as inevitable and are not happy with what they believe is an effort to lock up an invaluable public resource such as the Great Lakes. "Anything that is born of fear and paranoia, in essence, has some issues with it," Mulroy told Annin. "There is going to come a day when somebody, somewhere, in a loud enough voice, starts talking about hoarding, saying, 'Wait a minute folks, you've got 20 percent of the world's freshwater? Why would you be able to contain and restrict it in the manner that you have?'" Environmental lawyer Noah Hall praises that foresight. "The Great Lakes Compact states made a rare move to address a problem before it became a problem," Hall said. The Great Lakes and St. Lawrence Cities Initiative's John Dickert, who is also a former three-term mayor of Racine, said the Compact gives shape to the desire of the region to protect its most valuable resource in the face of growing threats. "The water wars are just beginning," he said. "We just haven't done a very good job of taking care of our water. The Compact has reminded us that water is precious and needs [to be] looked after." Shawn Reilly, mayor of Waukesha, speaks about the Compact from very personal experience. He helped shepherd the city's request for a diversion through what ended up being a six-year battle for approval. Satisfying the provisions of the Compact proved a complicated and difficult process, but Reilly said that is as it should be. Reilly doesn't foresee that — or the Compact itself — changing, even in the face of growing water shortages. "I don't think the Compact would change so much that it would allow water to go to Arizona," Reilly said. "I think the world would really have to change dramatically for the politics to be such that the Compact would be changed." Reilly adds that the large public works projects that would be required to build pipelines to move water across the country are probably too expensive to be viable. He said Waukesha's Lake Michigan pipeline is costing US$286 million and isn't expected to be completed until 2023. "Congress has never in U.S. history amended or repealed a compact against the states' consensus," he said. "It's a nice law," Hall said, "but it's just a law." 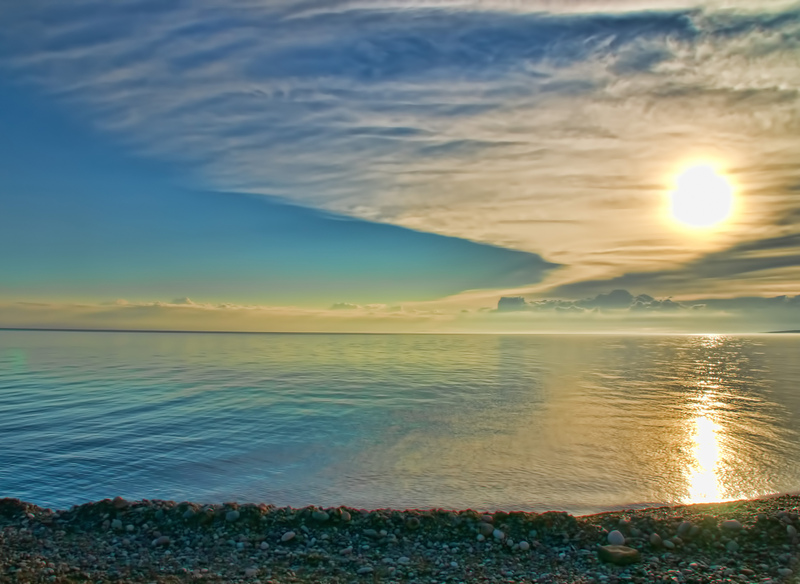 The sun rises in July 2011 over the shores of Lake Superior at Little Girls Point County Park in Michigan's Upper Peninsula. To some extent, the fate of the Great Lakes in the end may be linked to the whim and fury of a natural world that we've made even more unpredictable. Regardless of the directions those winds blow, the Great Lakes Compact offers some assurance that any potential change wrought by humans will at least be well-considered. Editor's note: Ensia is an independent, nonprofit magazine presenting new perspectives on environmental challenges and solutions to a global audience, and is published with support from the Institute on the Environment at the University of Minnesota, major foundations and private individuals. This article was originally published on Aug. 16, 2018.